Dan Snow presents an appeal on behalf of the British Polio Fellowship, a charitable organisation supporting people who are living with the late effects of polio. Browse content similar to British Polio Fellowship. Check below for episodes and series from the same categories and more! put the rest of my life into perspective. properly without the aid of callipers. In the early 1900s, a terrifying disease swept around the world. It struck fear into the hearts of parents. No-one knew for certain how it was caught. it would be with you for life. They called it infantile paralysis - what we now know as polio. It really was a devastating illness. Thankfully, today, it's almost been eradicated from the planet. But it still hasn't quite been consigned to history. is still helping those living with the consequences of this disease. a children's hospital in Birmingham. woke up the next morning with a completely rigid neck. "I can't feed the babies." So she said, "Well, you've got to see the doctor." So the doctor came in and he told me I'd got rheumatism. I knew what I'd got. I knew all the symptoms. I spent the next seven months in hospital, flat on my back. This was a difficult time. It dawned on me that I might not walk again. Barbara remained positive and wanted to live a full and happy life. and later had two children. But I don't think I ever gave up. And I wasn't going to let the polio virus beat me. when my shoulder locked and I couldn't move it. So I was really in a mess. causing severe fatigue and muscle weakness. I knew what I'd got was reducing my mobility and was affecting my arms. and then you realise it's done its dirty work. had it when they were very young. I am lucky, because my GP is very interested. He wants to ensure that the future GPs are aware of the syndrome. are doing what they can to boost awareness. it's an illness that only the elderly have to deal with. Manaj is in his early 40s. a challenge of their own. My parents faced a lot of discrimination. I'm going to be independent in this world. that will make your life better. when he was with my disability. I came to UK in 2001. I was struggling to meet people and get a network of friends. Then I came across the British Polio Fellowship. where I could talk to them with confidence. and they have got some interesting projects, like sport. The British Polio Fellowship offer practical support, benefits advice. we offer information on how to get a diagnosis of post-polio syndrome. Good afternoon, you're through to the British Polio Fellowship. with being able to go out and help people within the community. and that there is little known about the condition any more. We are here to support them with what they face in life. but to socialise with people who share in their experiences. Bobby is one such person. after contracting polio aged six. in that it slowed me down to a considerable degree. You have difficulty staying on your feet. I kept thinking, "I'm going to get better." Polio is an illness that can isolate you, in a way. lets you see you're not alone. that maybe sitting in the house watching TV you wouldn't get. I welcome everyone for coming along tonight, good to see you all. Enjoy the rest of the night. No fighting, please, over the game. I really enjoy meeting up with the Polio Fellowship globally. The camaraderie is great, the craic is excellent. They are very important in my life. polio continues to affect the lives of thousands of others in the UK. through what I've been through. They provide me with invaluable information. and ultimately to make them feel that they are not alone. Please, if you can, donate now. Calls are free from mobiles and landlines. and the whole £10 goes to the British Polio Fellowship. writing "the British Polio Fellowship"
on the back of the envelope. 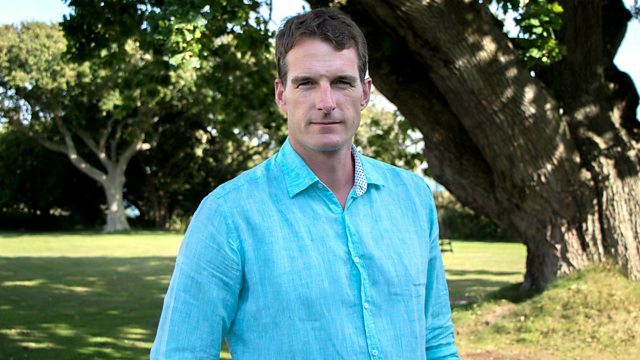 Dan Snow presents an appeal on behalf of the British Polio Fellowship, a charitable organisation supporting and empowering people in the UK who are living with the late effects of polio and post-polio syndrome.